SAF Perimeter Systems Introduces SMACNA Series Gutter Systems SAF – Southern Aluminum Finishing Co, Inc.
SAF Perimeter Systems announces the addition of their Sheet Metal and Air Conditioning Contractors‘ National Association inspired drainage systems. The SMACNA Series Gutters are fabricated with heavy gage aluminum making them ideal for commercial, industrial and high end residential building projects. Quality purposed gutter system profiles featured in the SMACNA Manual are frequently specified for high value projects. 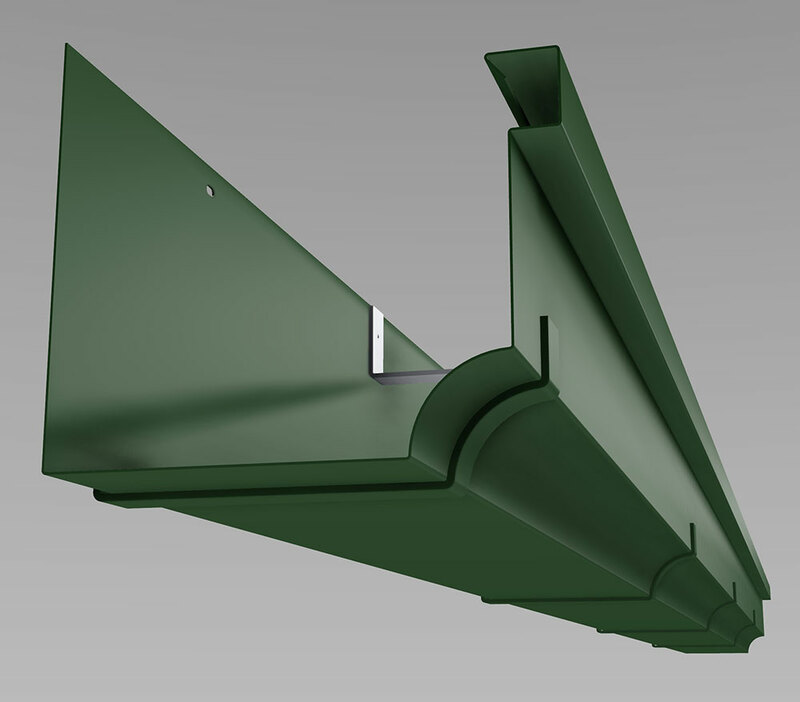 “Our SMACNA Series Gutters are a direct response from customers who want quality gutters fabricated with thicker aluminum than is typically available from a roll former, and with custom color and wall thickness options,” states SAF Perimeter Systems Product Manager, Corey Faciane. SAF Perimeter Systems SMACNA Gutters are an extension of their Industrial Series Gutter Systems that also feature heavy duty interior brackets and optional exposed support brackets to withstand heavy snow and ice conditions. Beyond the 56 standard Kynar colors customers can specify for SAF Perimeter Systems SMACNA Gutters, SAF can mix and apply custom PVDF colors at their in-house coating facility.